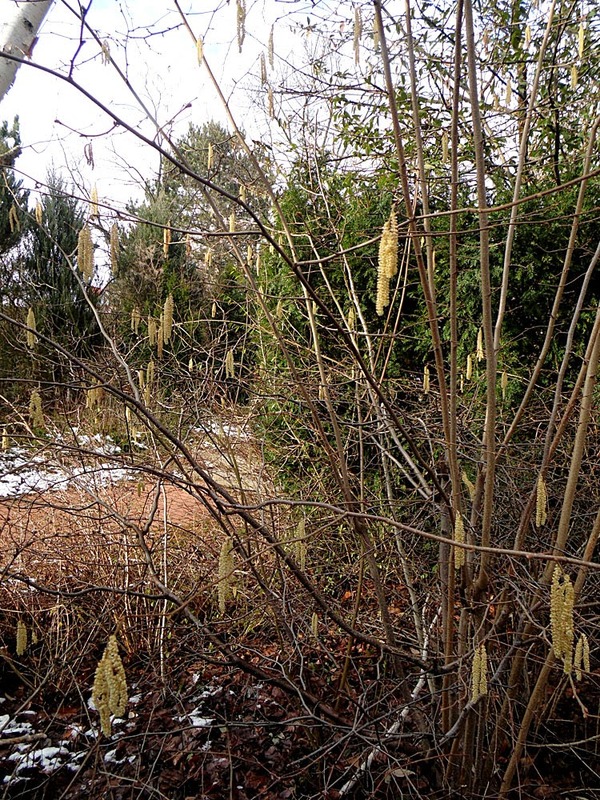 There is still snow on the ground, but the hazel trees are now festooned with catkins. It delights me immensely that the German word for these earliest of flowers is also Kätzchen - kittens - just like the English. I knew them also as lamb-tails when I was a kid. Today is the Celtic festival of Imbolc, and traditionally marked the beginning of the lambing season. The story I was told was that lambs were born with long tails like kittens, but they were cut off by the shepherd and hung from the hazel bushes! Must be true - you never see sheep with tails. 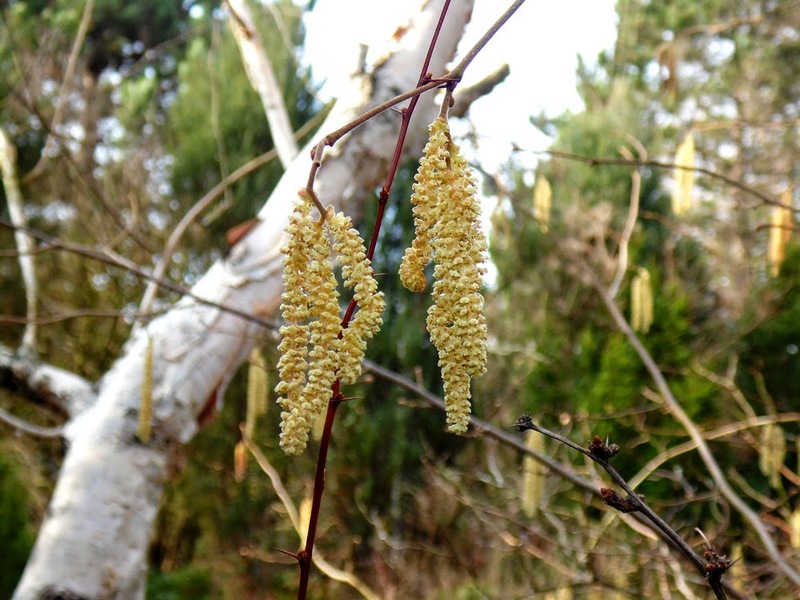 The sight of the catkins gladdens my heart, because it means Spring is surely just around the corner.